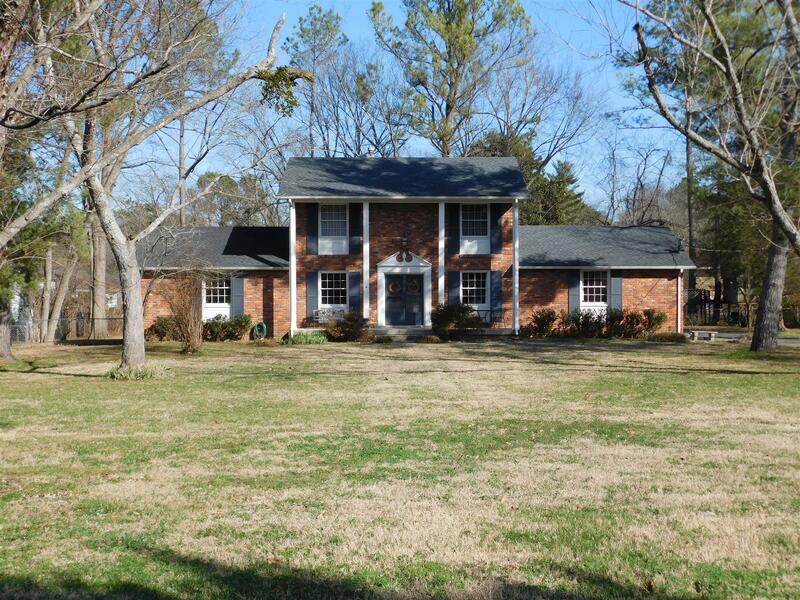 Lovely spacious home on approximately one acre treed lot with Master BR down. Hardwood floors. Den with fireplace. Large bonus room with built-in bookcases. Fenced back yard, storage shed, three car carport with additional storage area. Convenient location. Sewer hook-up is available.